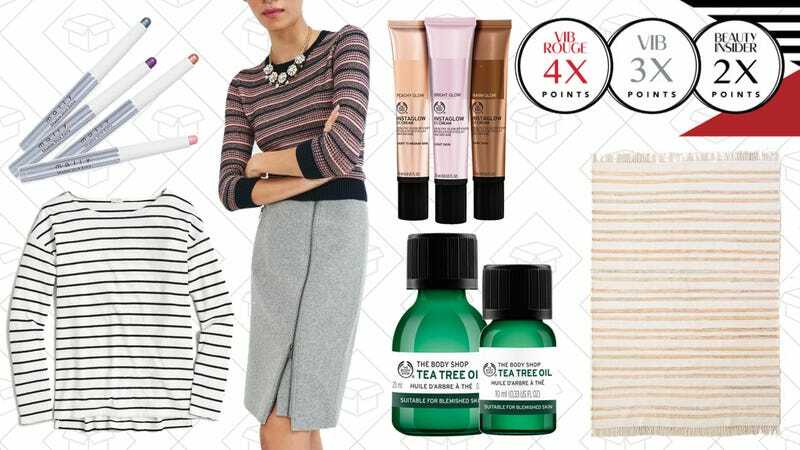 Earn extra Beauty Insider points at Sephora, 30% off everything at J.Crew Factory, 25% off select Urban Outfitters area rugs, 30% off sitewide at The Body Shop, and more lead Monday’s best lifestyle deals. The deals switch up every day, so you’ll need to jump on them if they catch your eye. Today’s deals are Mally Beauty Evercolor Shadow Stick Extra, Per-Fekt Mascaras, and First Aid Beauty FAB Faves to Go Kit. If you haven’t signed up for Sephora’s Beauty Insider program, you should. It’s free and you get free stuff, the best kind of win-win situation out there. And this week only, get extra points on any of your purchases. Beauty Insiders get 2x points, VIB get 3x, and the VIB Rouge members get 4x. Sign up and get buying. There’s no better time to stock up on really great skin care than right now. Spend $45 at Origins (which, trust me, isn’t that hard) and you’ll get $20 off thanks to their Friends & Family event. Use the code FRIENDS at checkout to see your savings. People always forget how good Urban Outfitters is at home goods. Grab 25% off select area rugs that will make any apartment feel a little bit more like a real home, rather than just a place to sleep. For those who don’t need a gooseneck kettle for pourover coffee, and aren’t willing to spring for the ultimate tea maker, this Ivation electric kettle is a fantastic buy at $50. 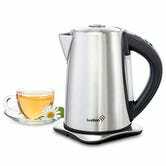 It doesn’t just boil water; it heats it to a precise temperature depending on what you’re using it for. For example, you want green tea water to be about 40 degrees cooler than water you’d use to make oatmeal. Another day, another J.Crew Factory markdown. This time, get an extra 30% off everything, plus free shipping, with the code SALEOFMYEYE. Grab a new button-down for $35 or some new chinos for $30. Fall is just around the corner, and GAP knows it. Use the code STYLE and get 30% off both men’s and women’s styles (including new arrivals). GAP is full of fall staples like sweaters, blouses, and jackets that are even more affordable with the mark down.